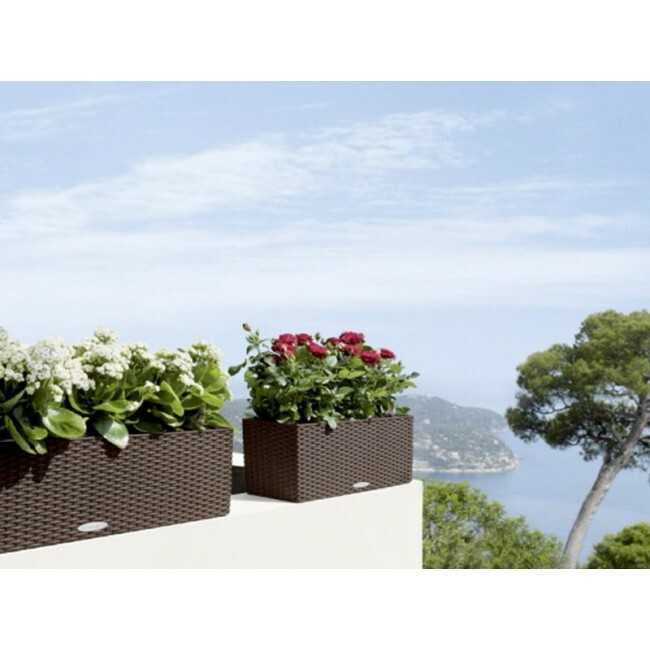 The Lechuza Balconera adds splendor and delight to any outdoor commercial or residential landscape. 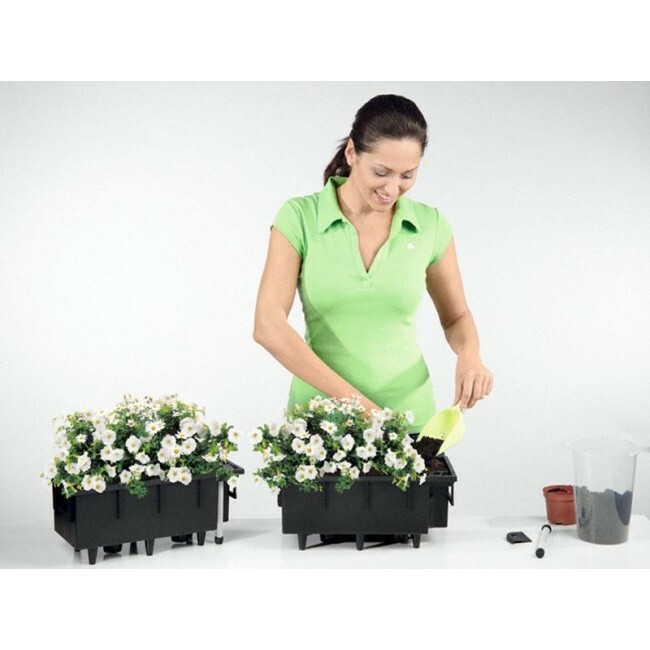 With its numerous practical features, growing and maintaining your favorite plants and flowers is easy. 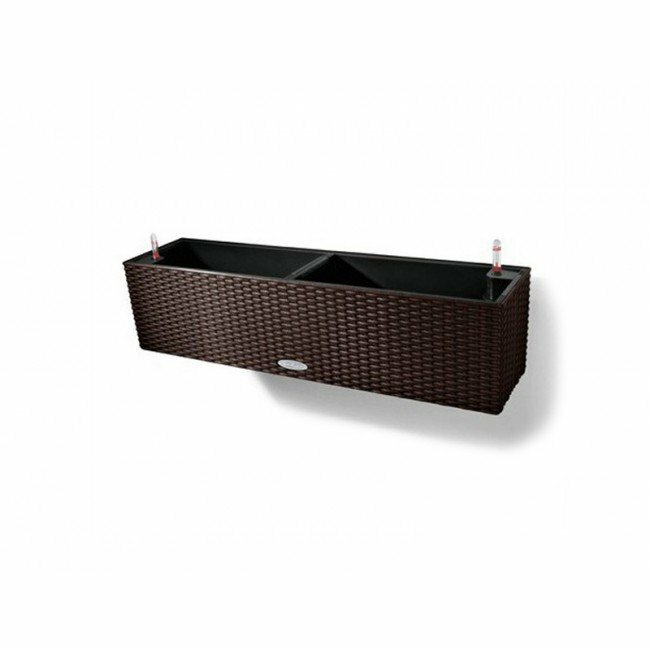 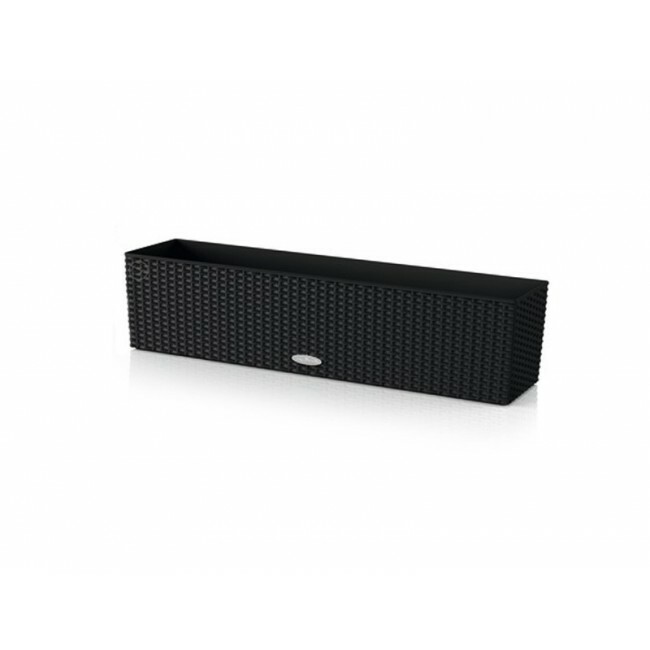 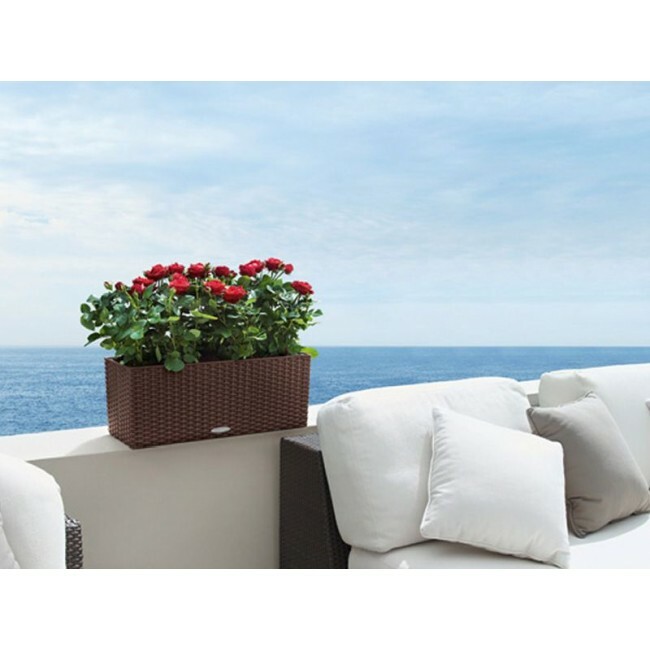 The Balconera sports a wicker design that is perfect for patios, deck, porches, balconies, and more. 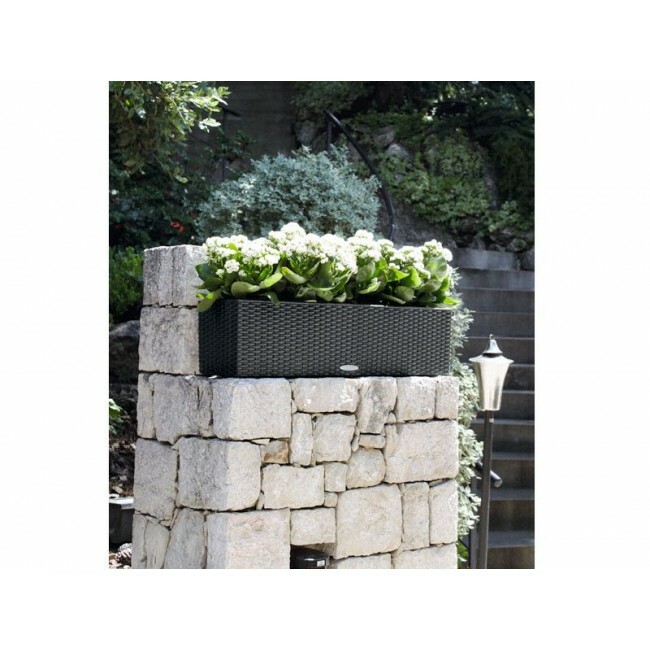 Lechuza's Cottage Patio Collection has an intergrated water reservoir that reliably provides your plants with the water they need even on the hottest of days. 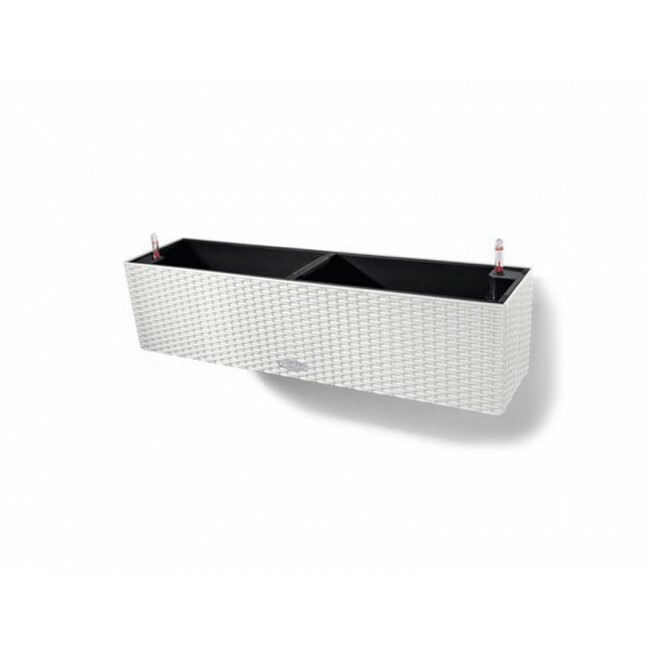 With the help of the water level indicator, you always know when the water needs refilled. 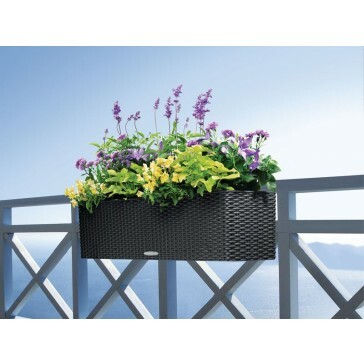 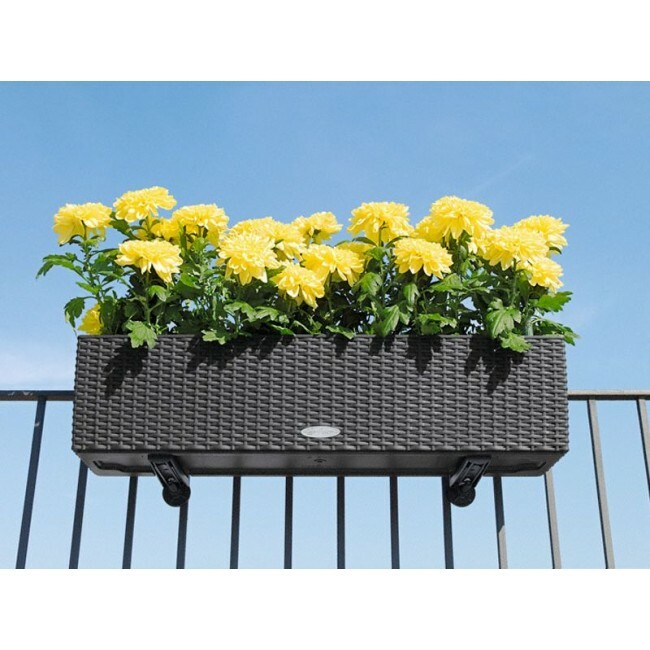 Plant liners allow you to pre-plant your plantings and then lift them into your pre-mounted Balconera with ease. 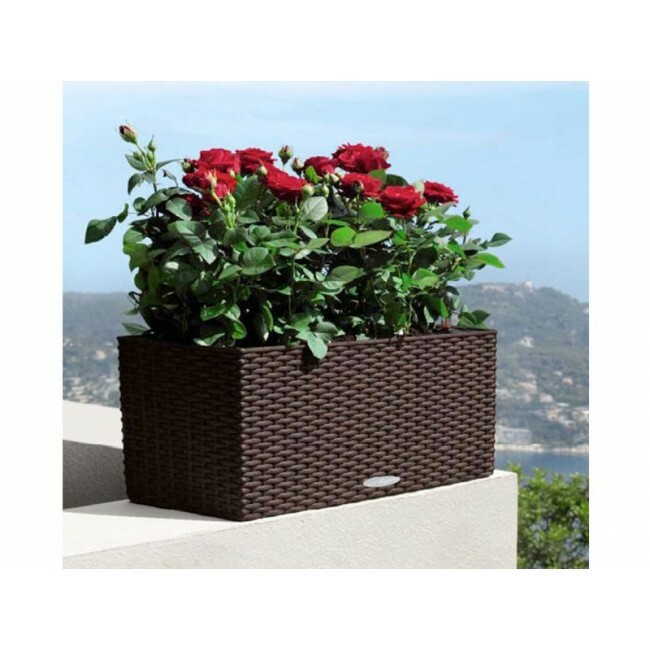 No lifting of heavy, bulky potted patio planters. 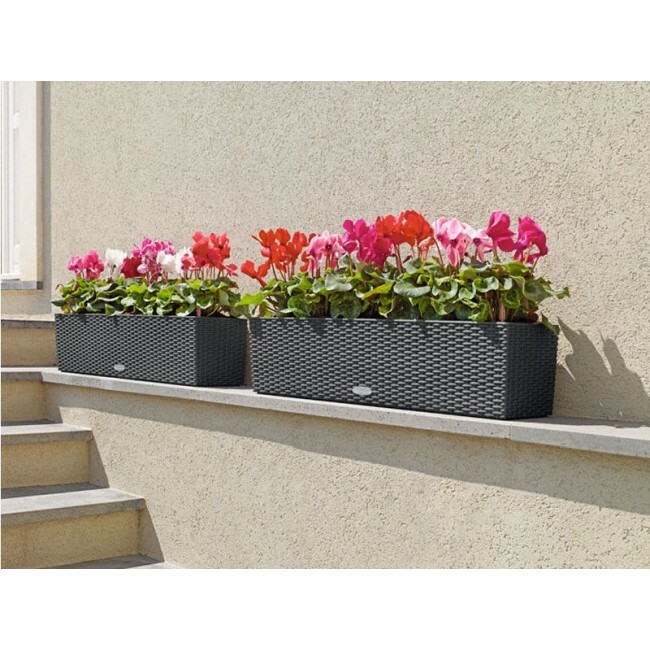 When winter arrives, move your plants in their liners to a more suitable area. 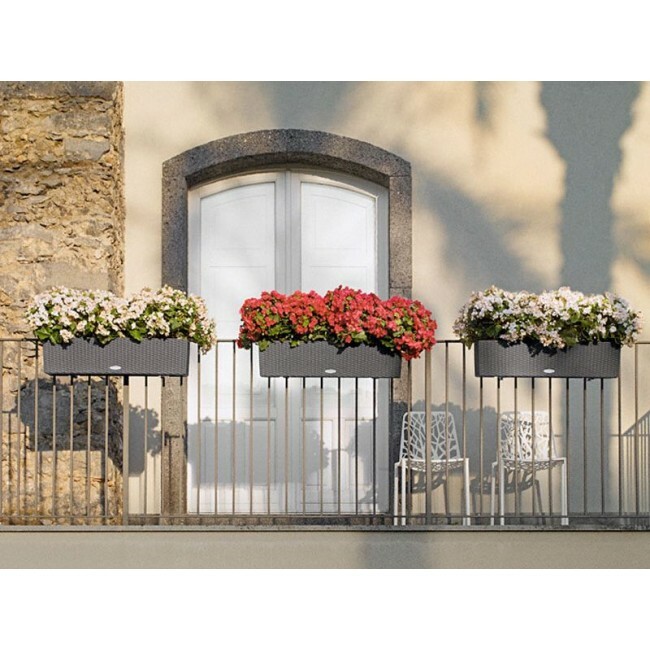 The Balconera is manufactured using an impact-resistant, commercial quality polypropylene and is designed to stands up to the elements.